It’s strawberry season! 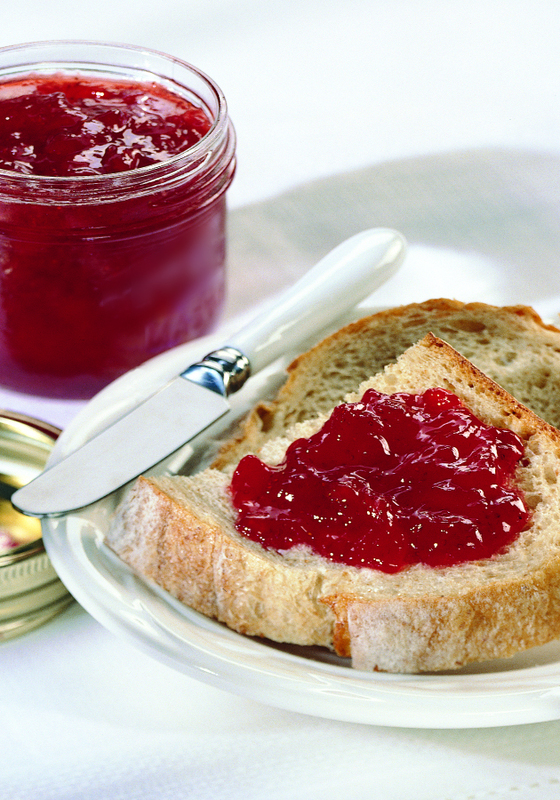 The flavor, texture and appearance of this jam outshines a store-bought version every time. The difference is amazing and store-bought can’t hold a candle to jam you make at home, where you hand-select the fruit and other ingredients and add a little love to every jar. Strawberry jam is one of the most popular preserves to make, especially when local fruit is in season. This recipe uses the long-boil method, with no added pectin. In a large, heavy-bottomed pot, combine strawberries and lemon juice. Bring to a boil over high heat, stirring constantly. Add sugar in a steady stream, stirring constantly. Bring to a full boil, stirring constantly to dissolve sugar. Reduce heat to medium-high and boil rapidly, stirring often and reducing heat further as mixture thickens, for 20 to 22 minutes or until thickened. Test for setting point (see page 24). Remove from heat and skim off any foam. Stir for 5 to 8 minutes to prevent floating fruit. Ladle into sterilized jars to within 1⁄4 inch (0.5 cm) of rim; wipe rims. Apply prepared lids and rings; tighten rings just until fingertip-tight. Process jars in boiling water canner (see page 27) for 10 minutes. Transfer jars to a towel-lined surface and let rest at room temperature until set. Check seals; refrigerate any unsealed jars for up to 3 weeks. Makes about five 8-ounce (250 mL) jars. Tip: If you leave the lemon juice out of strawberry jam, it will not set — strawberries are not high enough in acid. A bubbly fruit crisp is the ultimate summer dessert – easy to assemble using whatever fruit happens to be in season, no fussing with pastry in the heat, and a sweet, crunchy topping that’s easy to mix together. It makes the very best vehicle for ice cream. Berries are perfect contenders – strawberries, raspberries, blueberries, blackberries – whatever grows well where you are. 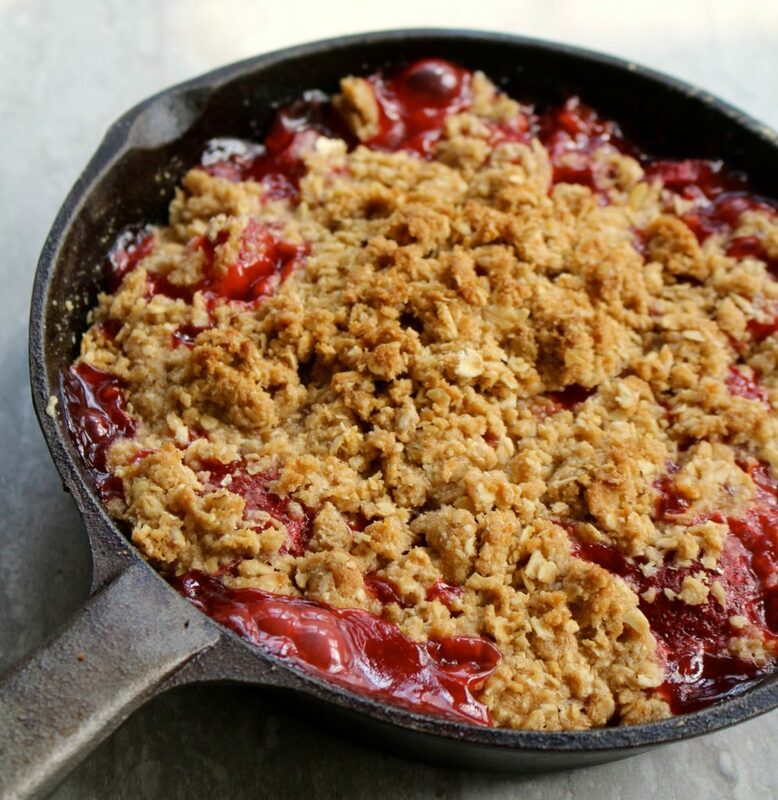 We love all of them paired with rhubarb, which makes for a sweet-tart crumble. You can even assemble the fruit and bake it when you’re sitting down to dinner, so that it’s warm when it’s time for dessert. Preheat oven to 375°F (190°C). Beat buttermilk and egg in small bowl and set aside. In large bowl, Combine flour, baking powder, baking soda and salt. Cut in margarine until mixture resembles small peas. Mix in cranberries, sugar and orange zest. Add buttermilk mixture and stir until soft dough forms. Using your hands, form dough into a large ball and place on floured surface. Pat out to 1-inch (2.5 cm) thickness. Cut in 4-inch (20 cm) rounds. 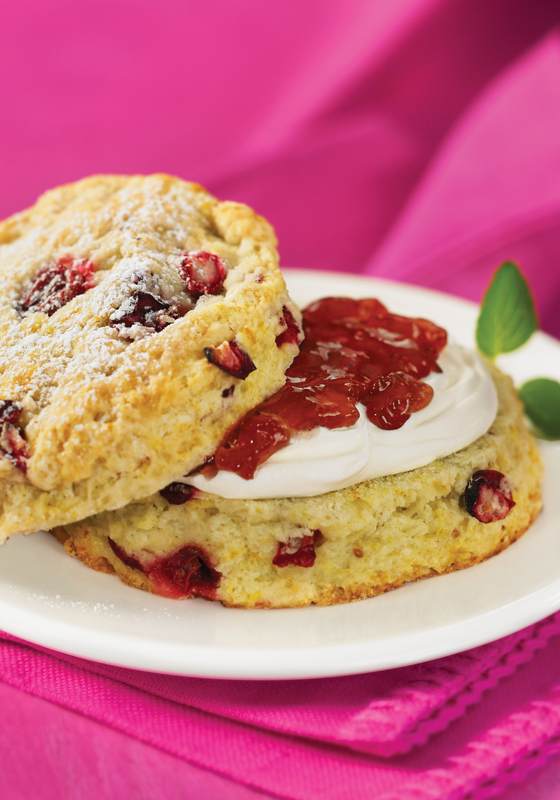 Place on ungreased cookie sheet and bake scones for 15 to 20 minutes. While still warm, brush with butter and sprinkle with confectioners’ sugar. Gourmet: A French word meaning 400% markup. Great with Mexican Fare ! Low-cal – tastes great right out of the jar! Combine all ingredients and mix well. Refrigerate overnight in a sealed container. Makes about 11⁄4 cups (300 mL). Salad: Peel and slice avocado. Sprinkle with 1 tbsp (15 mL) lime juice. Peel, seed and slice papaya thinly. Sprinkle with remaining lime juice. Peel oranges and grapefruit. Cut fruit into segments. Slice red onion. In a large bowl, combine avocado, papaya, orange and grapefruit segments and onion. Set aside. If using pomegranate, scoop out seeds and set aside. Dressing: Whisk together orange juice, lime juice, honey, pepper flakes and oil. To serve: Pour dressing over fruit and toss well. Spoon onto lettuce-lined platter. Sprinkle pomegranate seeds over all. Serves 6 to 8.